In this three-part series I am going to go over the basic concepts you need to know about using videos to enhance your dental or medical website. Videos can be an excellent adjunct to an already existing website, and can also be used to bring new life into an older site, as well. Video content is one of the fastest growing type of media today, and well-done, high-quality videos can add a professional touch to your website, and make you stand out among your competitors. 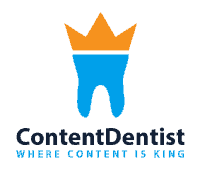 In this article I will review the “What, Where and Why” of dental website videos (just not in that order). 1. Why should I Add Video Content to my Medical or Dental Website? Before I say a word about website videos, it’s critical to understand that website videos, like Facebook, Twitter, and other forms of media, are adjuncts to your overall website and Internet presence. High-quality video is not going to work to bring patients to your practice on an otherwise mediocre website. So before you start with video content, make sure your website already serves its primary function for your office – which for most practitioners is to drive new patients to the practice, and to provide information for new patients and existing patients. Videos are great for a myriad of reasons, but the two that I like the best are the fact that videos can a) give a potential patient a chance to interact with you and your staff on a personal level and b) give the impression that you and your office are technologically advanced. 2. What Type of Videos Should I Make? Many dentists ask me what type of videos they should make, and the answer depends upon your practice. I recommend that if you are going to have videos on your website, that you should have a “Welcome” video from the dentist or phyisican to introduce himself/herself to the practice. I also like to see some type of video involving the staff. The idea here is to get the patient comfortable and familiar with you and your staff before their first visit. Similarly, I also like to have an office tour video because it allows patients to see ahead of time what your office looks like. How many times have you gone to a restaurant that had a great picture in a magazine, but when you arrived there is wasn’t as advertised? 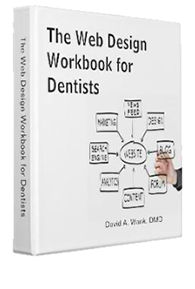 Now translate that analogy to a dental or medical office – where patients are already nervous. Anything you can do to increase patient comfort and decrease anxiety is a positive step. And think about it yourself – if you are going to see a new healthcare provider, and all other things being equal, would you go to the office where you’ve met the staff and seen the office tour on videos, or to the office which has a simple website with a few photos? 3. Where do I put the Videos? The subject of where to put the videos on the Internet is a discussion for an upcoming article, but the videos should supplement the content on the page. So your “Meet Dr. Smith” page should have the video of Dr. Smith welcoming everyone to the practice. Similarly, your office tour should be on your “About “ page or on a separate “Office Tour” page. Now that we’ve discussed a brief introduction to the “what, where and why “of dental website videos, it may be time to start thinking about what types of videos you could add to your practice’s website. 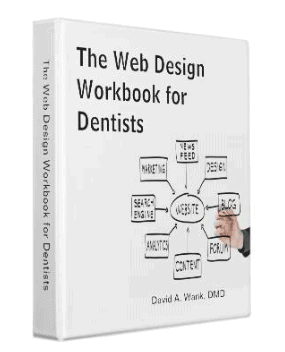 Next week I will go over “What to do with Dental Website Videos and What NOT to Do”.